In 2004, the Songwriters Hall of Fame presented Thomas with its premiere “Starlight Award” – created to recognize a composer in the early years of his or her career that has already made a lasting impact. He has won numerous BMI and ASCAP Awards, and has earned the Songwriter of the Year crown from both Billboard and BMI for two consecutive years. In 2007, Thomas reunited with Matchbox Twenty for “EXILE ON MAINSTREAM.” Their first album in five years, the set combined a retrospective of their greatest hits with six new songs produced by Steve Lillywhite – including the RIAA gold single, “How Far We’ve Come.” Debuting at #3 on the Billboard 200, the RIAA gold “EXILE ON MAINSTREAM” scored the biggest first week of the year for a greatest hits collection. Thomas landed another solo hit in 2007 with “Little Wonders,” from the soundtrack to the Disney animated feature, Meet The Robinsons. In December 2008, he performed at the 31st Annual Kennedy Center Honors in Washington DC, where he paid tribute to Pete Townshend and Roger Daltrey with an emotionally charged rendition of The Who’s “Baba O’Riley,” featuring a choir of 150 New York City policemen and firefighters. In 2009 Rob released his second solo album, cradlesong with Matt Serletic again in the producer’s chair. The album features the chart -topping singles “Her Diamonds and “Someday.” Rob made Billboard chart history once again as the only male artist with multiple #1 hits at Adult Top 40. With this coronation, Thomas tied Pink with the most No. 1’s by a solo artist in the chart’s history. 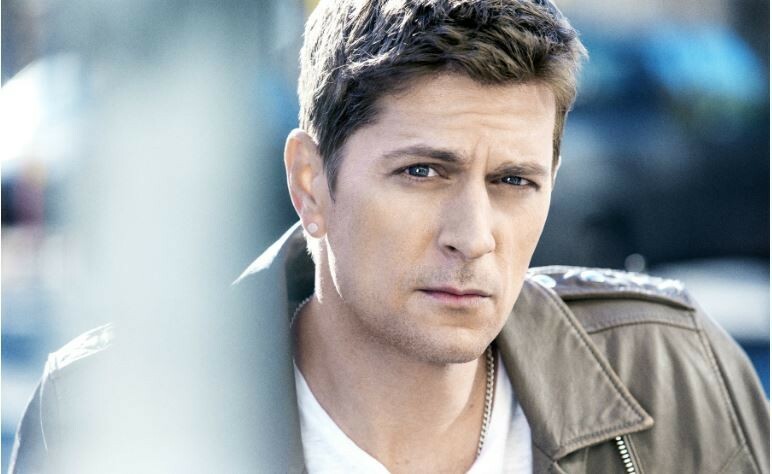 In 2011 Rob Thomas and his Matchbox Twenty band mates released a brand new studio album, “NORTH”. The album’s unprecedented success marked their first chart topper –debuting at #1 on the Billboard Top 200. “NORTH” was fueled by critical acclaim as well as the hit singles, “She’s So Mean”, “Overjoyed” and “Our Song”. The band toured the globe including two SRO tours of the U.S. and a dynamic performance at the famed Rock in Rio. In spring ’14 Rob hit the road again for a five week North American special intimate headline run. The shows offered the rare and unique opportunity to catch the superstar performing in a more up close and personal setting, playing a career-spanning set. Rob also returned, for the fourth year in a row, to Atlantic City’s Borgata Casino in January for three sold out shows to benefit Sidewalk Angels, the New York based not-for-profit foundation that Rob started with his wife Marisol. Sidewalk Angels is dedicated to providing critically needed funds and support to grassroots groups across the country. It is the primary supporter and sponsor of a number of no-kill animal shelters and animal rescues, reflecting the passion of the foundation’s co-founders to fight for the rights and fair treatment of those with no voice. Additionally, the foundation also supports a myriad of other causes, from childhood health and wellness to the fight against homelessness.